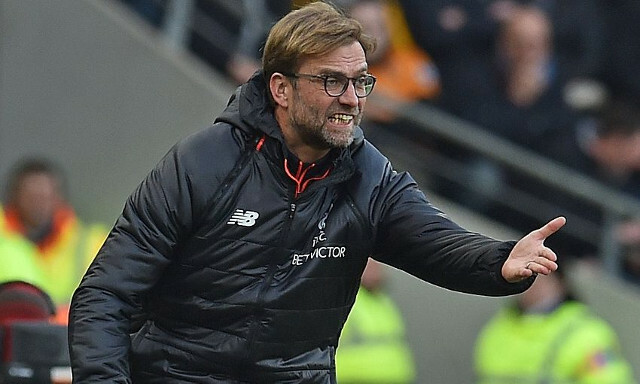 Liverpool’s boss Jurgen Klopp has intimated that he won’t change his style or plan following our miserable run of form. Since the turn of the calendar year, we’ve won once in ten matches and desperately need a win against top four rivals Spurs at Anfield this evening. Some supporters are calling for wholesale changes to the team and perhaps even a switch to a back-three, following Chelsea’s success with wing-backs, but Klopp says he doesn’t have plans for an ‘alternative’ way of playing. “I don’t sit at home and criticise myself and take a bath in self-pity. I know about the things that I did. I did all the things I did because I was convinced they were right. Did I have another alternative? I’m not sure. It’s not about finding them,” he told the Echo. “We have to accept that we cannot be champions this year. But there is still everything else to go for. The second Holy Grail? That’s what we have to fight for. We have to go for it. “It is all the more difficult with these results in your bag but, as long as we accept it, that is part of the job. You win? Everything is good, unbelievable! You lose? Oh my God! It’s too much too. We’ve got 14 games left of the Premier League season, with a practically fully fit squad and large gaps between fixtures. There’s no longer any excuses for hiding, as there perhaps was in January with tonnes of matches and Sadio Mane’s AFCON induced absence. Following the Hull City capitulation, it’s time for Liverpool to step up to the plate and remind everyone that on our day, we can beat anyone.